The camp is located on Marula lane off Karen Road in the serene and leafy suburb of Karen, in the south of the city. The camp, which is a converted farmhouse, lies on two and half acres of land. 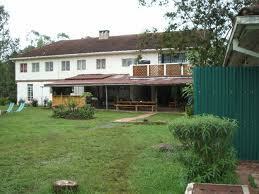 It is within walking distance of the Karen Riding School and the Karen Blixen Museum. Other attractions nearby are; the David Sheldrick Elephant Orphanage, the Giraffe Centre, the Karen Golf and Country Club, Karen Blixen Coffee Gardens, as well as Karen Shopping Centre. Airport transfer from Nairobi Jomo Kenyatta International airport or Wilson airport to Karen Camp or trasfer from Karen Camp to Nairobi Jomo Kenyatta International airport or Wilson airport.